Remember the time in the 90s when American talk shows were all the rage? You know the ones, where people would go on to settle their family and relationship disputes? We even have British versions still running today, like Jeremy Kyle for example. The most famous of all the American ones, excluding Oprah of course which is of a different ilk, was Jerry Springer. The talk show guests would often be known to break into fighting, only for the security heavies to pull them apart. That was when the crowd would start hollering, whooping and chanting "Jerry! Jerry! Jerry!". People loved the drama of the show so much it was even turned into a stage musical that ran in the West End in London for two years in from 2003 to 2005. What I didn't realise until last month is that the Jerry Springer Show is still going strong! Who knew?! So why am I talking about Jerry Springer anyway? 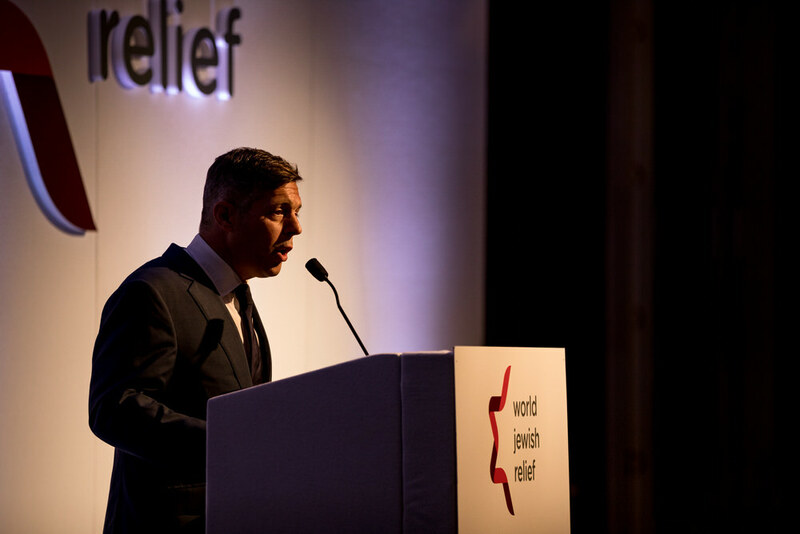 He was the guest of honour this year at the Annual Business Dinner organised by World Jewish Relief. He was interviewed by newsreader Emily Maitlis, and he wasn't afraid to tell the audience his views on the current president of the USA. At the age of 73, Jerry is still full of life, working the room and chatting with many of the guests who had come along to see him. Here are some of my favourite images from the event. Anyone For Tennis At 800 Feet?